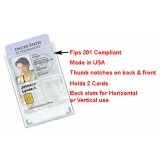 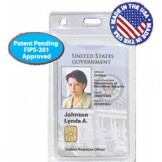 Rigid Shielded 2-Card Holder 50 pack The Shielded Rigid 2-Card Polycarbonate Holder protects 13.56 .. 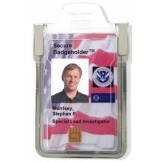 Secure RFID Holder Shielded 100 pack USA MADE Replacement for discontinued item APC840-5056 FIPS .. 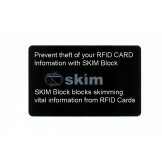 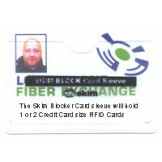 Skim Blocker Card Sleeve 100 pack FIPS 201 APPROVED Place your RFID Card into the Skim Blocker Car..
SkimBlocker Thin Black Sleeve FIPS 201 APPROVED Place Skim Blocker on your RFID Card, and informat..